Fusion research was driven by the oil shocks in 1970’s and the concern about climate change during 20th century. 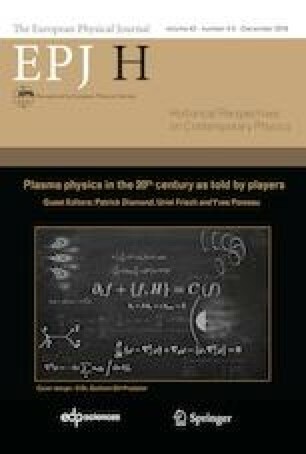 This paper addressed the scientific research history of JT-60, the tokamak that achieved record fusion performances and opened the way toward the continuous operation of a tokamak fusion reactor through its scientific discoveries. The paper also highlighted technical struggles to improve machine capabilities and to solve technical issues faced during the JT-60 project. The missions of JT-60 were to achieve equivalent energy break-even (Q = PDTequi. / Pheat ≥ 1) and to establish a scientific basis for fusion reactor. The JT-60 made several modifications to reach equivalent break-even condition and continued efforts were made by the JT-60 team to solve critical technical issues during 23 years of research operation. Scientific success of JT-60 led to current ITER projects and the modification of JT-60 to a superconducting tokamak, JT-60SA. This paper is intended to be useful for the future researchers and managers of large-scale project by giving dynamical evolutions and highlighting key players. I dedicate this paper to Hiroshi Kishimoto, who made an outstanding contribution in managing the JT-60 research project. Fusion Reactor System Laboratory, Concept Study of the Steady State Tokamak Reactor (SSTR), JAERI-M 91-081(1991), https://doi.org/jopss.jaea.go.jp/pdfdata/JAERI-M-91-081.pdf.